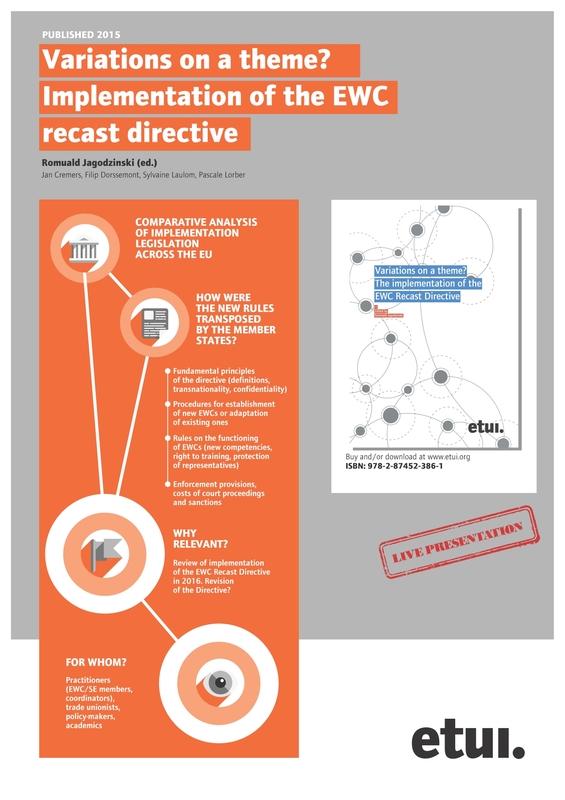 Poster promoting the ETUI book on implementation of the EWC Recast Directive 2009/38/EC. Poster promoting the Sustainable Company vol. III book edited by Sigurt Vitols. This guide builds on the ETUI's Worker Participation 2030 project which looked at the future of worker participation under four different scenarios. It is a manual for people who want to know more about scenario-building and are considering setting up their own scenario project. 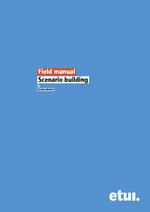 It has been designed as a compact and easily accessible overview of the method of scenario building and the different steps entailed in the process.The field manual is currently translated into German and French. 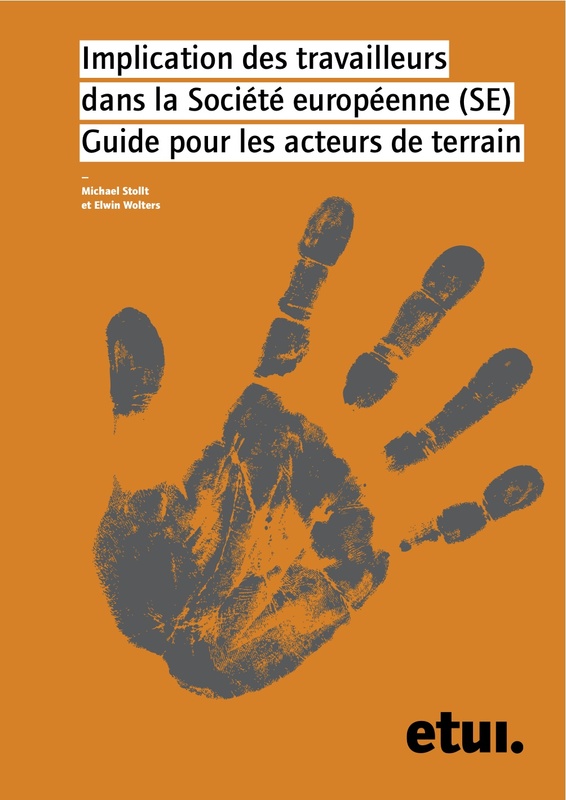 The scenario publication has now been translated into French (also available in EN and DE). 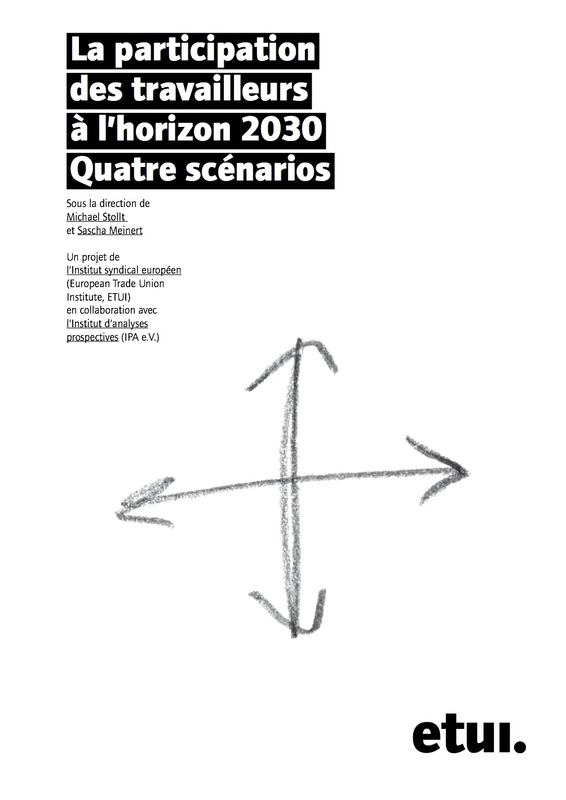 Cette publication s’inscrit dans le cadre d’un exercice ambitieux : se projeter dans le futur, plus précisément en l’an 2030. 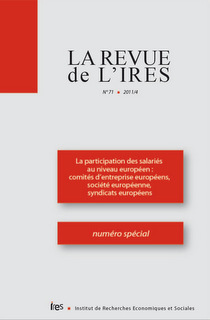 Quatre scénarios alternatifs explorent les perspectives à long terme et l'évolution du contexte de la participation des travailleurs sous divers angles en Europe. 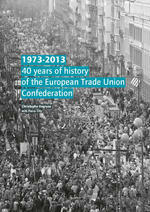 This joint ETUC-ETUI publication takes stock of the ETUC’s 40-year history. 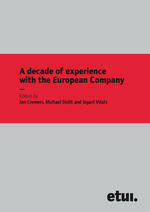 On the basis of numerous unpublished documents, the book tells the story of the challenges, successes and failures of the ETUC over these forty years. It combines a scientific and historical approach with a political one, the aim being to ‘reveal a rationale for action and a sense of coherence, and to identify the guiding principle that has characterised the – sometimes fraught – history of the ETUC’. 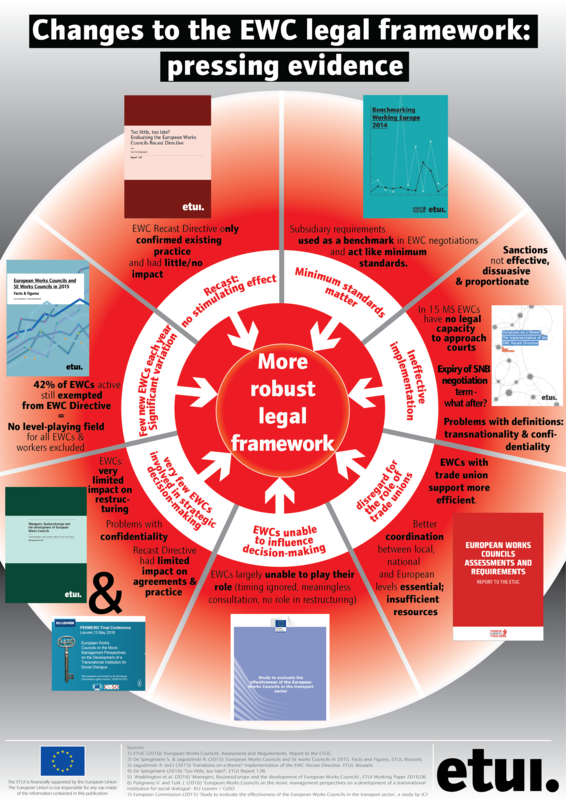 This working paper builds on previous research undertaken by the ETUI on the impact of the economic and financial crisis on labour law reforms in EU Member States. 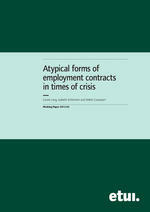 It maps the landscape and evolutions in the regulation of atypical employment contracts, analysing how some of these evolutions can be related to the context of the economic and financial crisis. In November 2013, the Gesellschaft für Bildung, Wissen, Seminar of the German mining, chemical and energy trade union IGBCE published a new manual designed mainly for EWC trainers, coaches and lecturers. The key focus of the publication is the development of intercultural competence, legal and organisational frameworks for EWCs, as well as target-setting and decision-making processes. 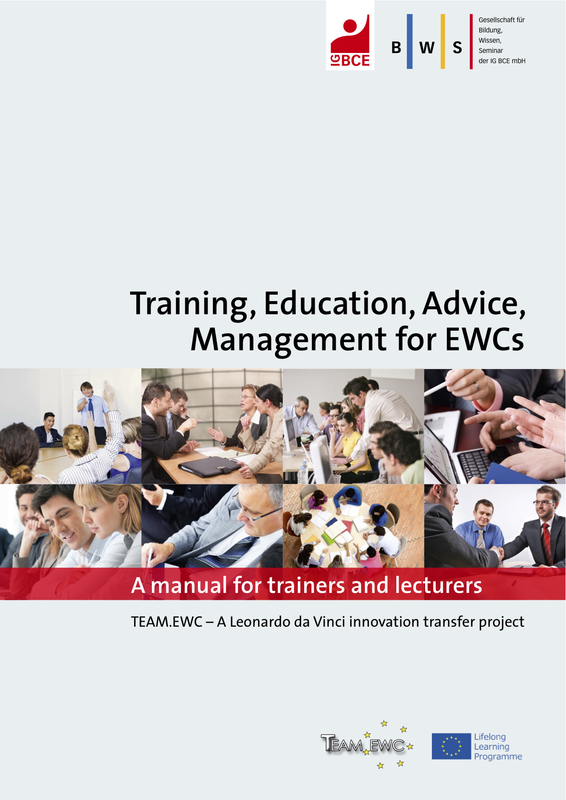 The manual was prepared by TEAM.EWC, a consortium of German, Austrian and Romanian trade unions within the framework of a Leonardo da Vinci innovation transfer project. 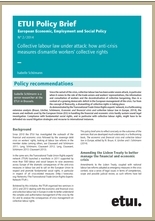 The publication is the outcome of an ETUC project intended to meet the new needs of trade-union teams, which require a better understanding of the European worker representation systems dedicated to health, safety and working conditions. 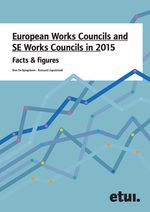 As a rule, the competences of European Works Councils (EWCs) are limited to information and consultation. Nonetheless, the number of European company-level framework agreements negotiated by EWCs and/or trade unions has increased steadily since the early 2000s. 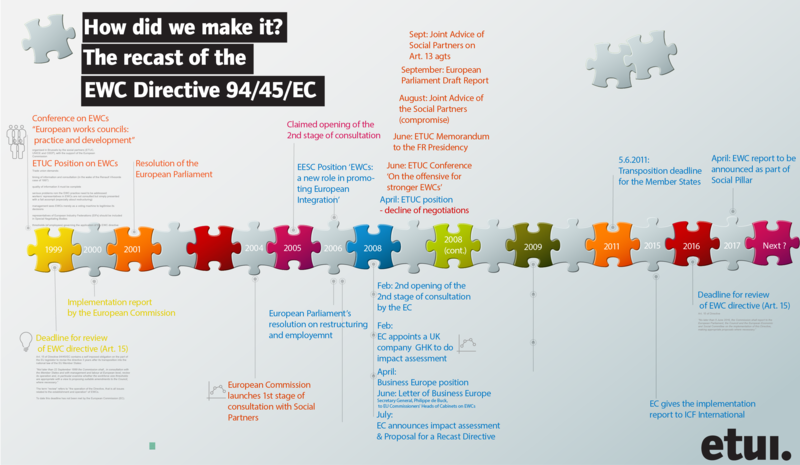 By the end of 2011, 119 such agreements had been concluded. 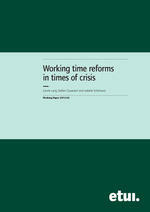 This working paper extends and complements the analysis of pre-2012 anticrisis measures published in the earlier ETUI Working Paper 'The crisis and'national labour law reforms: a mapping exercise' which dealt with anti-crisis measures on working time taken before February 2012. Widening economic and social gaps among EU member states, as well as among different groups and categories of citizens within society, are not only placing in jeopardy the future of Social Europe but threatening to undermine also the whole project of European integration. The post-2008 recession and debt crisis, helped along by EU leaders’ obstinate clinging to the failing remedies of fiscal austerity, have accelerated the disenchantment of millions of European citizens with the half-century-old project to build and consolidate a European Union. 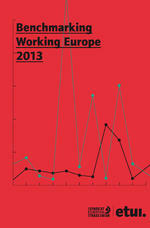 This is one of the most striking conclusions of the ETUI’s Benchmarking Working Europe report for 2013. 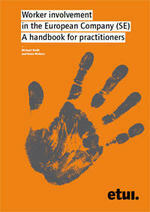 Chapter 6 is devoted to workers’ rights, worker mobilisation and workers’ voice. 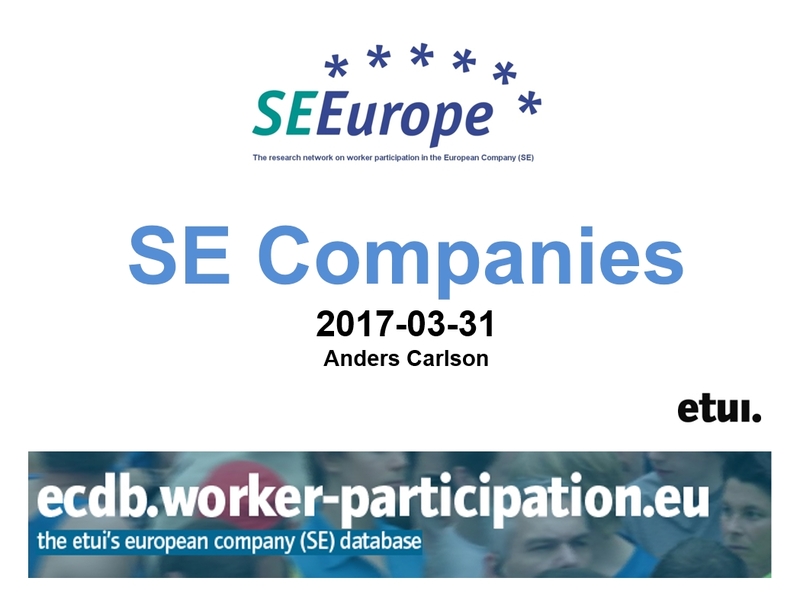 This publication of the SEEurope Network provides a comprehensive overview of the legislation on the European company (SE – Societas Europaea) and its history and development. 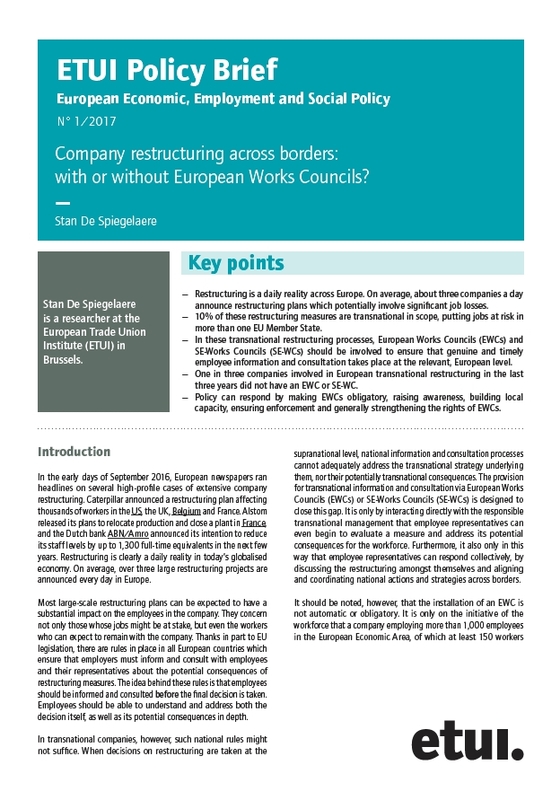 It assesses the overall significance and impact of the SE on the business sector and on worker involvement in Europe and provides an outlook for the future of the SE. 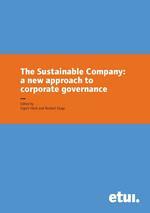 The publication also makes specific recommendations for policymakers regarding the future revision of the SE legislation specifically as well as European company law and corporate governance generally. 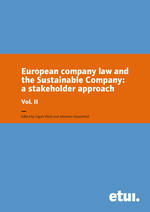 In this book, members of the GOODCORP network of researchers and trade unionists present their proposals for European company law which would encourage companies to follow sustainable, stakeholder-oriented strategies. 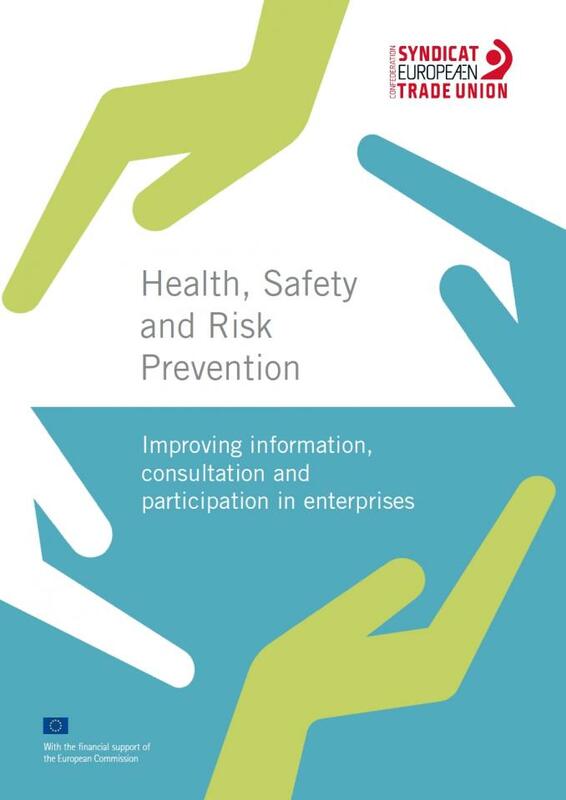 Key proposals include: revising our understanding of the firm and its key stakeholders; strengthening stakeholder ‘voice’ in companies; increasing the transparency of companies through binding requirements for social and environmental reporting; and negotiating employee-friendly agreements with investors through collective bargaining. 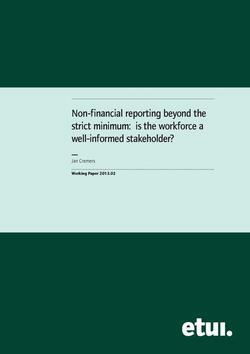 This working paper by Jan Cremers of the Amsterdam Institute of Advanced Labour Studies summarises the results of an inquiry by the SEEurope network on the current legal framework and practices in 28 European countries regarding non-financial and sustainability-related reporting by European companies and the role and involvement of trade union representatives in this form of reporting. 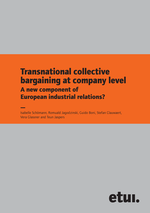 Transnational collective bargaining (TCB) has become a ‘hot’ topic of European industrial relations. 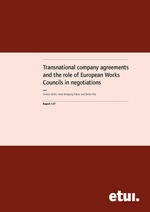 As well as collective bargaining between workers and employers conducted at the sectoral or national level, negotiations on employee rights and working conditions now also take place at the supranational level, within multinational companies. It is a development that poses major challenges for trade unions, as well as for employers and lawmakers. 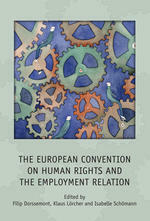 This book takes stock of the particular challenges faced by trade union representatives, works councils and employer organisations; it reviews the existing literature on this topic and examines contrasting views of the prospects for subsequent development of this new practice; it also offers some practical suggestions for policymakers who find themselves having to deal with this new component of the Europeanisation of industrial relations. 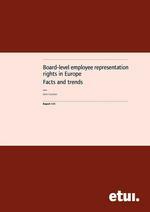 Just a few weeks before the launch of a new Action Plan on Company Law and Corporate Governance by Internal Market Commissioner Michel Barnier, this Policy brief seeks to review the stakeholder model of corporate governance that prevails in Europe by looking at the evolution of board-level employee representation rights in the light of national and European developments. 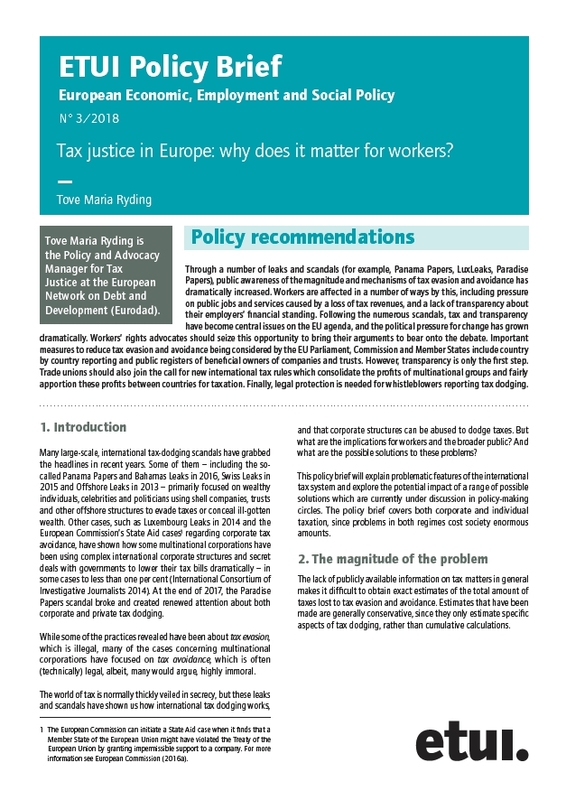 A new comprehensive study launched on 5 March by the European Trade Union Institute (ETUI) and the European Trade Union Confederation (ETUC) confirms growing forms of social inequality in all EU member states. This worrying trend is the result of long-term policy choices for market liberalism and the prioritisation of harsh austerity programmes as a result of the financial and fiscal crisis post-2008. 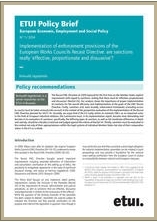 The European Commission decided in July 2011 to reopen the consultation on the SE legislation. The new initiative was a first-phase consultation of the social partners under Article 154 TFEU on the possible review of Directive 2001/86/EC supplementing the Statute for a European company with regard to the involvement of employees. The ETUC consulted the affiliates based on a draft submission paper that was formulated in cooperation with the ETUI’s SEEurope team. In summer 2011 the national SEEurope experts were also asked to react to the questions raised in the consultation documents based on their expertise. 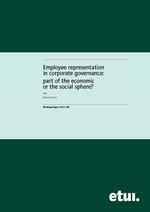 Employee representation in corporate governance: part of the economic or the social sphere? 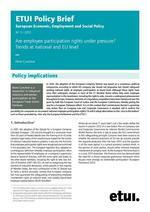 Observers of the European Company legislative process identified the then-competing political projects as being driven in one case by the desire for harmonization, whereas the other focused on a flexible approach to regulating employee participation. Since the European institutions have definitively adopted the latter approach in the meantime, this reading became obsolete. 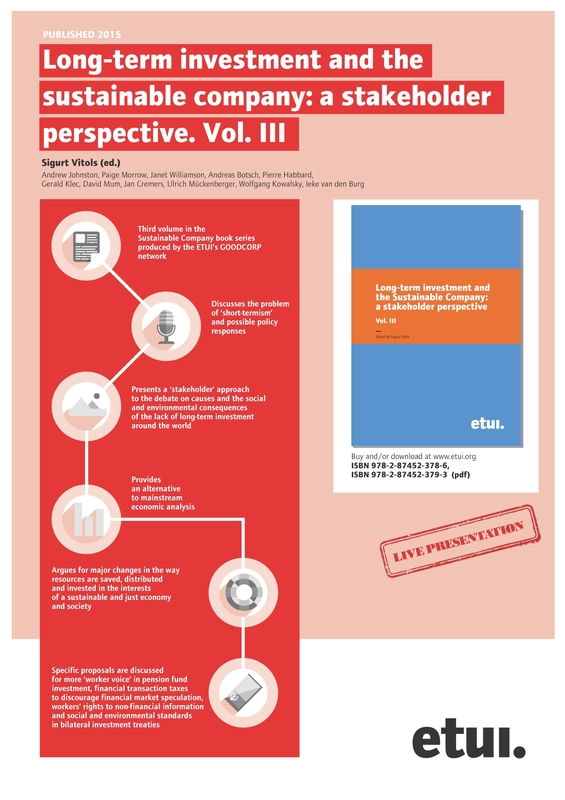 This ETUI Working Paper proposes to adopt a new analytical framework that will help give better insight into what is at stake in the drafting of European legal rules on corporate governance and worker participation, such as the pending European Private Company Statute. 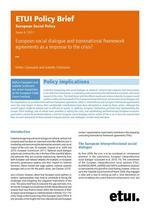 This Policy Brief 4/11 attempts to overcome the knowledge gap about how European social partners or workers’ representatives have tried to contribute to facing the challenges and mitigating the (negative) implications of the crisis. 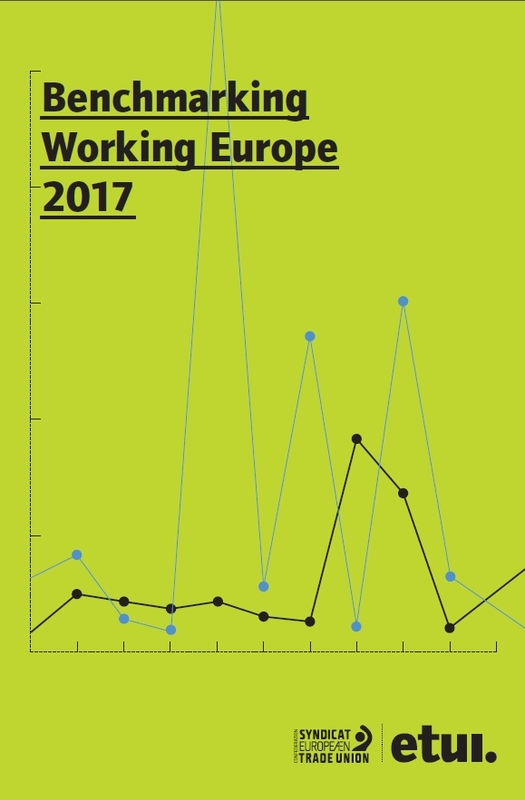 The present brochure which has been published for the ETUC Congress in Athens contains pre-selected data from the forthcoming ETUI publication ‘Mapping European Works Councils’. 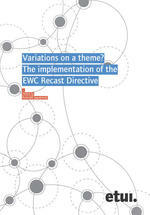 It aims at delivering basic figures (from the ETUI database of EWCs) concerning the operation of EWCs and the workers they represent on the eve of the EWC recast directive’s transposition deadline. 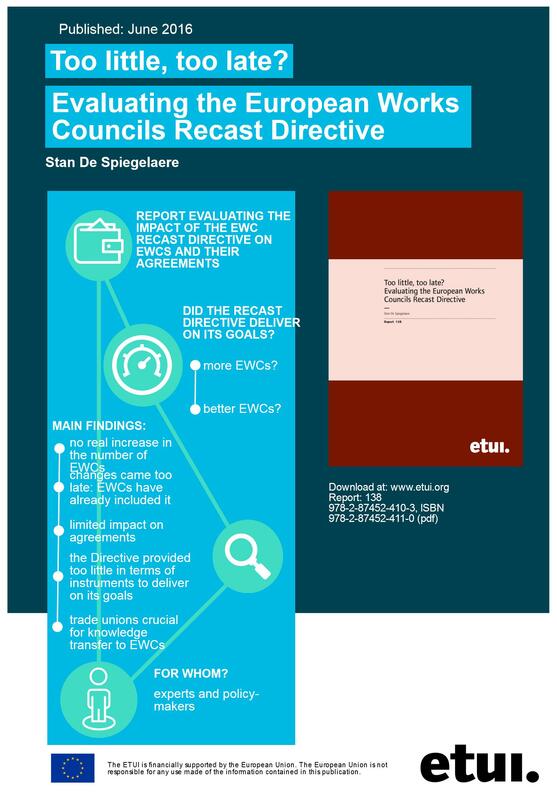 The provided information will allow evaluation of the new legislation’s impact on EWCs as it will offer a point of reference for measuring the attainment of some of the goals set by the recast directive. It will also be of particular relevance in relation to the goal of increasing the number of EWCs. 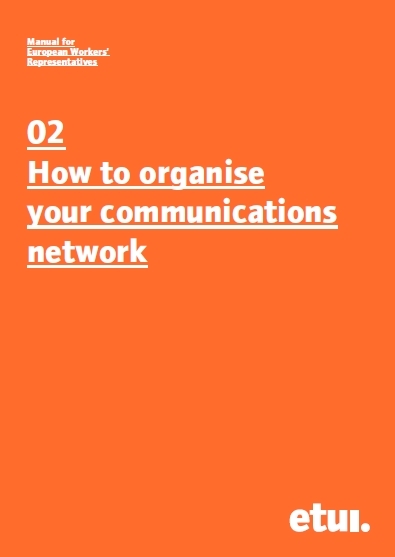 The expert’s of the ETUI’s SEEurope network have investigated, in their report, the introduction of more simplified national company legislation and the instigation of more competition between Member States. Besides that, the European Commission, with the Better Regulation agenda, is promoting more competitiveness and attractiveness within and between the Member States. EU legislation should not encourage regime-shopping but contribute to a more sustainable legal setting. The publication is a timely update (5th edition) of a booklet providing a detailed overview of the SE as well as additional information on cross-border mergers. 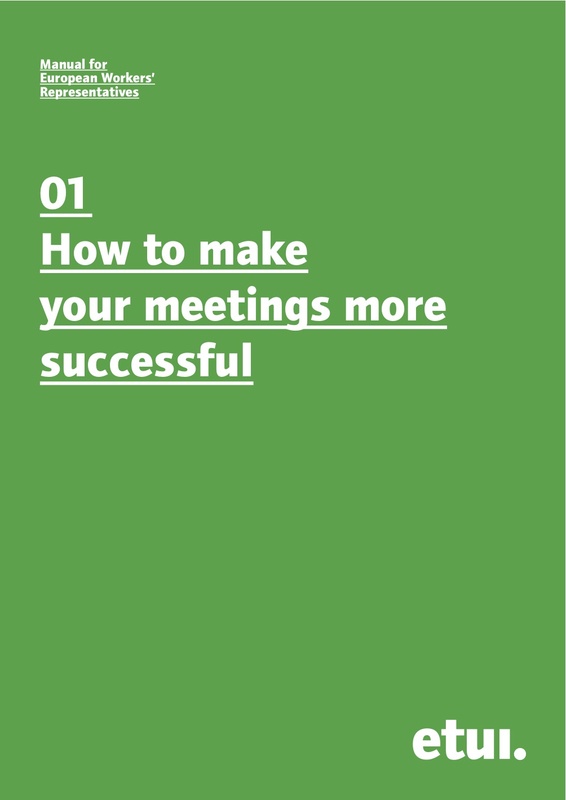 This publication is part of a series of practical guides for board level employee representatives. 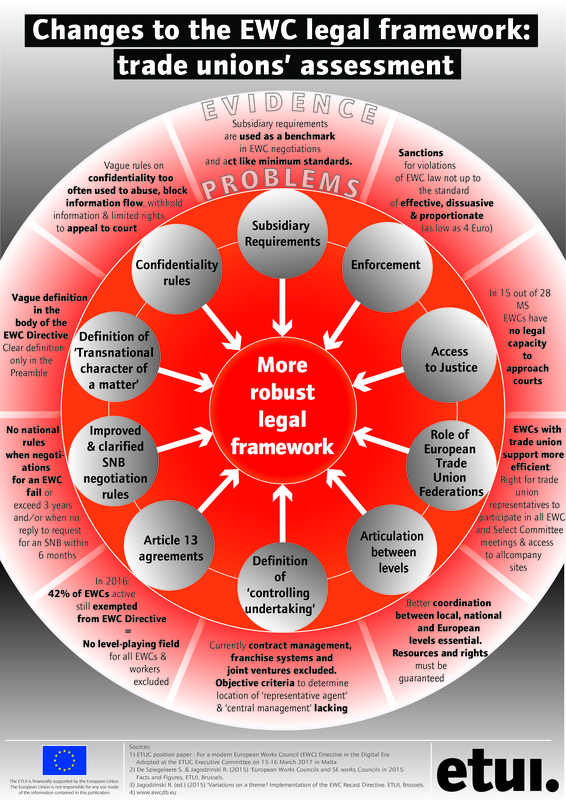 As it gives more detailed background information on the SE it is a valuable complement to another recent HBS publication for those involved in negotiations on SE agreements. Many companies today seem to have become little more than money-machines, seeking the highest returns from global markets. Employees, and indeed many managers too, are the slaves rather than the masters of such companies. Works councils and trade unions are reduced to mopping up the social consequences of their decisions. That is why this book, edited by Michael Gold, Norbert Kluge and Aline Conchon, depicts the everyday realities of serving as an employee representative in company boardrooms, and – as importantly – the personalities behind them. Eighteen representatives located in 12 European countries introduce the reader to their experiences, as well as their duties, responsibilities and perceptions against the background of their individual character, colleagues and workplaces. 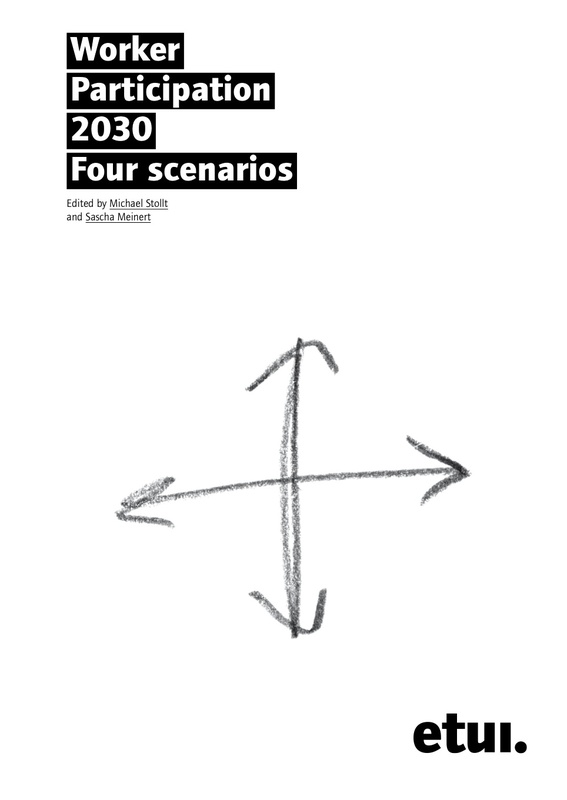 This publication, edited jointly by ETUI and the Berlin-based Institute for Prospective Analysis (IPA), sets itself an audacious task: casting a long look forward into the future, namely the year 2030. Four alternative scenarios explore the long-term prospects and changing contexts of worker participation, in its various forms, in Europe. The stories incorporate broad developments in society, as well as the strategies and actions of people and organisations, first and foremost the actors involved in worker participation. Available in English, French and German (hard copy and free pdf download).